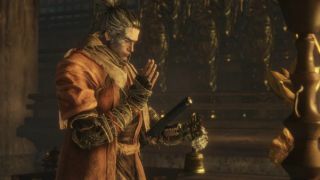 Sekiro isn't the worst of FromSoftware's PC ports, but its graphics and display options are few and its limits many. As always, modders pick up the slack. This mod from uberhalit unlocks the frame rate, adds custom resolutions with 21:9 widescreen support, lets you tweak the FoV and lots more. Oh yeah, and it also lets you change world and character speed, making the game considerably easier. If a boss is giving you a hard time—inevitable, really—you can use the mod to slow down the global speed by your desired number but keep the player speed the same, making you lightning fast in comparison. It's a cheat rather than the addition of difficulty modes that some players have been asking for, but at least it might help you get past that brick wall you keep smashing your head against. PC Gamer's James Davenport used it to beat the final boss and reports feeling no shame. Should you only wish to fight honourably, you could still use the speed changes to train. If you're having trouble figuring out timings for parrying and countering, you might have better luck practising with things slowed down. There's already a fella you can train with, so this seems a bit more in the spirit of the game. Alternatively, you could shame yourself into getting better. Use the mod to display in-game stats and your death count will follow you everywhere, mocking and taunting. That sounds like a nightmare, frankly. You can also display your kill count, though, which might make you feel better. Grab the mod from Nexus Mods or Github.